It’s that time of year again! It’s BLACK FRIDAY and the sales are enormous! 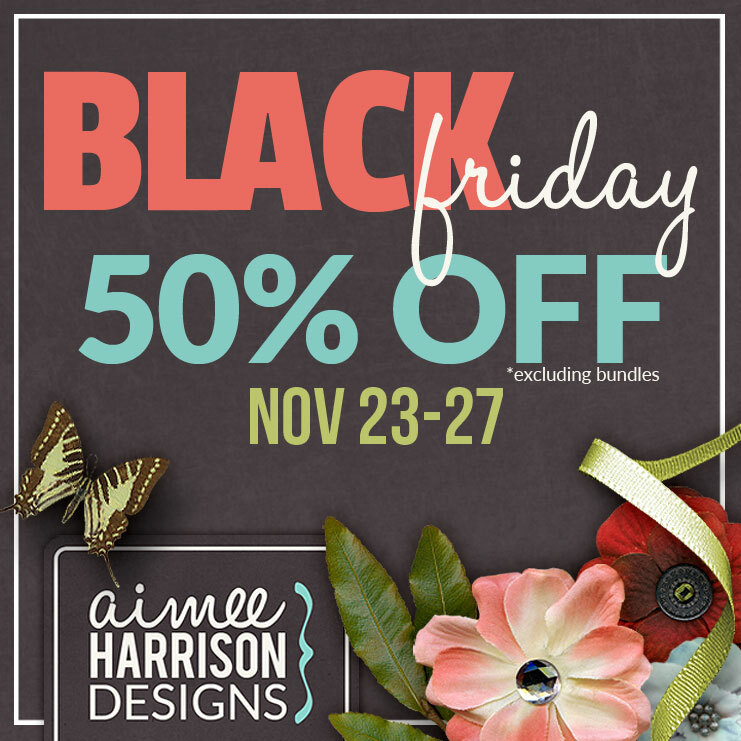 I have 50% Off at ALL MY STORES: The Studio, Gingerscraps and The Digichick! 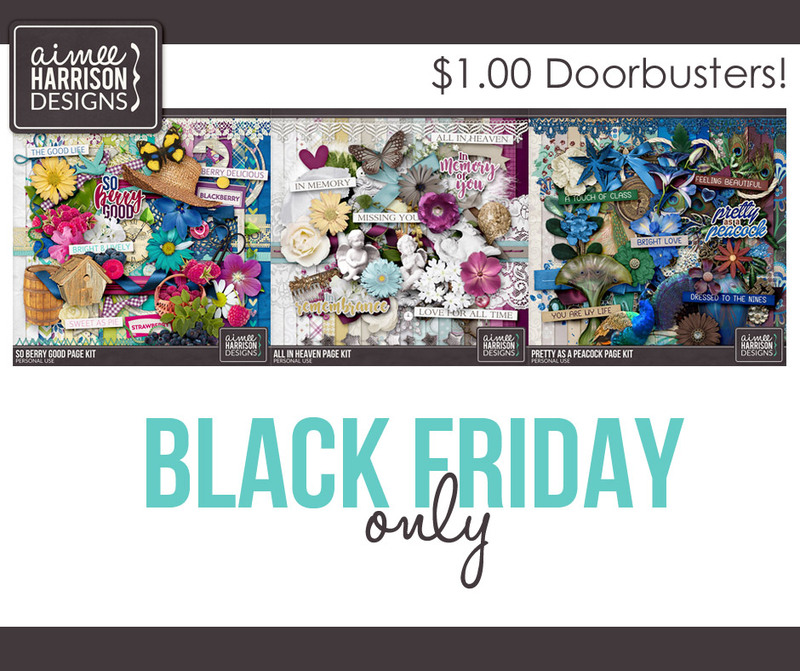 $1.00 Door Busters only at The Studio! Go HERE to enjoy the savings! 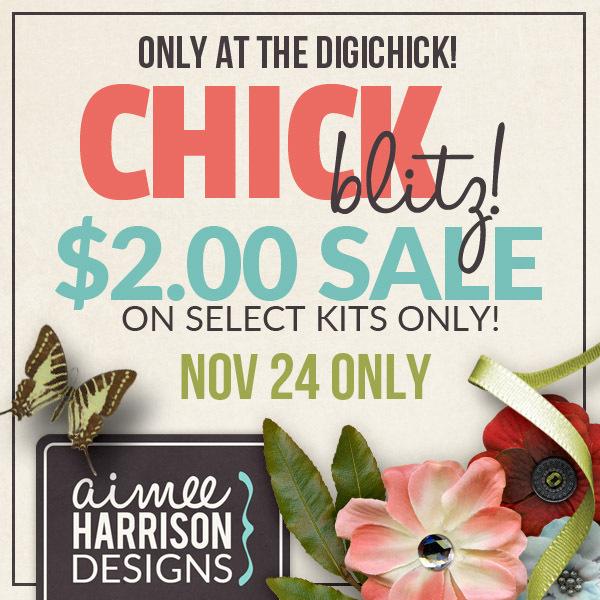 $2.00 CHICK BLITZ ONLY at the Digichick! Enjoy huge savings on a select number of my kits! Quite a selection so I would suggest checking it out before it goes! Go HERE to grab the savings! Tagged $1 sale, $2 sale, Black Friday, sale. « December’s Turquoise 40% Off! Plus a Freebie!